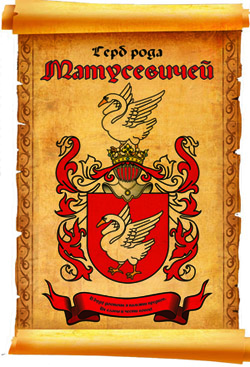 Jaroslaw Matusiewicz's grandfather and grandmother lived nearby to Dzerzhinsk (west of Minsk region, Belarus). Jaroslaw has informed us, that he has relatives in Poland and USA. In his data, in 70th years of the last century Matusevich's family lived in Bulawayo (Rhodesia, today Zimbabwe), and also our surname was in a telephone directory of Cape Town (Republic of South Africa). Jaroslaw lives in London, works in pharmaceutical business in office with view on Trafalgar Square, where he invite anyone from Matusevich family visiting UK. He well knows Russian language. Simon Matusiewicz has informed us, that his father Frantishek has arrived from Poland to the Great Britain during the 2nd world war. He lived northeast of country - in Suwalki. Simon works as respiratory physician in Lincoln, England.